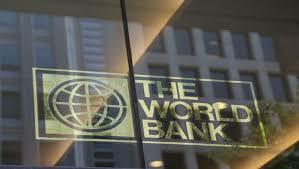 The World Bank (WB) said Algeria’s economy is stumbling on the backdrop of the sharp drop in oil prices and the lack of economic diversification with growth rate falling to 3.6% in the first half of 2016 compared to 3.9% in 2015. In its October country report on Algeria, the WB expects Algeria’s GDP growth to slow to 3.6% in 2016 and to slump further to 2.6% in 2018. Fiscal deficit is expected to remain large at about 13.2% of GDP in 2016 (albeit gradually, narrowing to 8.0% in 2018) as low oil prices weigh on fiscal receipts, said the WB. The current account deficit is projected to slightly narrow from 15.5% of GDP in 2016 to 10.4% in 2018, said the Bank. Earlier in July, the World Bank warned that Algeria’s oil and gas production is facing a gradual decline in recent years. The drop in Algeria’s hydrocarbon production is mainly ascribed to “repeated project delays, difficulties in attracting investment partners, infrastructure gaps, and technical problems”. Rising domestic consumption is another factor that hampers Algeria’s export capacity. With a total production of about 1.1 million barrel per day, Algeria only exports 540,000 barrels per day. Due to its heavy reliance on hydrocarbons for its exports and government revenues, standing at 95 and 75 % respectively, the oil price crash has eroded Algeria’s finances, trade balance and international reserves. Fiscal deficits have been rising from 1.4 % of GDP in 2013 to 15.7 % of GDP in 2016. Total reserves have fallen from $194 billion in 2013 to an estimated 108 billion dollars in 2016 and are projected to decline further to 60 billion dollars in 2018, said the World Bank. The deterioration of Algeria’s terms of trade led to a 20 % nominal depreciation of the dinar since mid-2014; inflation picked up to 4.8 % in 2015. With these dim economic predictions, combined to political uncertainty, the prospects for the North African country are rather gloomy. Written by: Jaber Ali on October 13, 2016. Posted by Jaber Ali on Oct 13 2016. Filed under Finance, Headlines, World News. You can follow any responses to this entry through the RSS 2.0. Both comments and pings are currently closed.